We are a company specialized in management, execution and POS information with the objective of creating a perfect experience for the shopper, trying to guide the shopper to buy the products of our business partners. 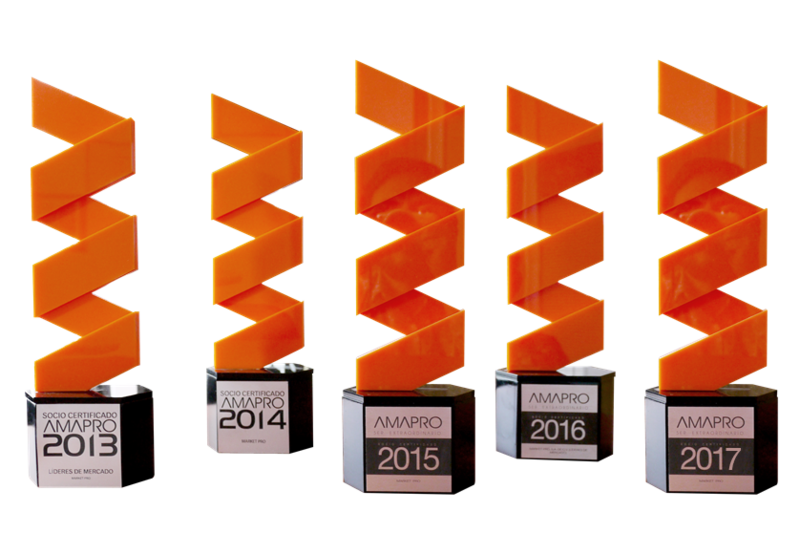 The company is among the Top 5 AMAPRO agencies (Mexican Association of Promotion Agencies-marketing agencies). Our team of professionals is composed of 20 years of experience in world-class companies. We understand the needs of our customers in the commercial, administrative, human factor and market intelligence processes. Satisfy and please with excellence all our clients, creating the consumers perfect experience at the points of sale. Become the best execution, information and promotional marketing company for Latin America, known for its structured and orthodox processes, execution excellence and our team's expertise. Our human talent is the best. 360º service and attention strategy. A solid and self-owned infraestructure across the country. Orthodox process aligned to Mexico’s legal scope. Our portfolio is composed of world-class customers from different industries and sales channels.